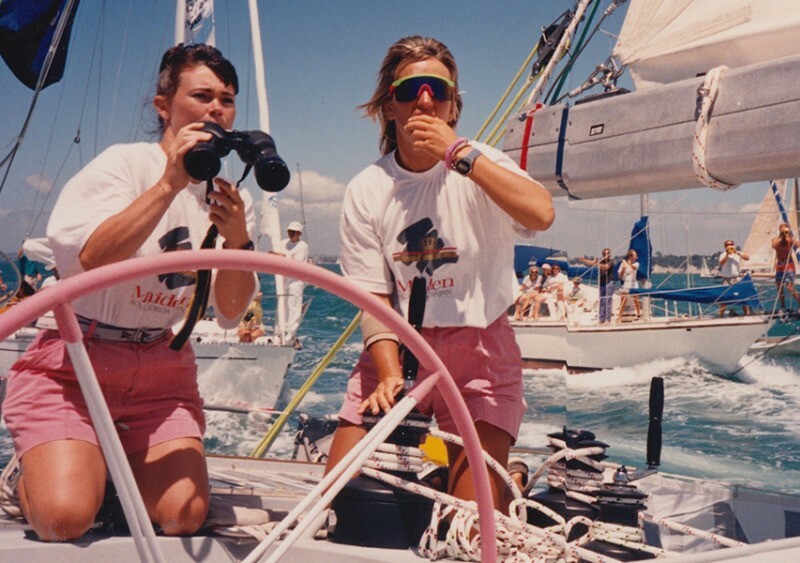 A trailblazing female yachting crew are the focus of Alex Holmes's inspiring documentary. The first Whitbread Round the World Race was held in 1973. Seventeen yachts and 167 crew took part in the gruelling challenge which encompassed 50,000 kilometres of often tumultuous ocean. Sailing itself was a very male-dominated world at the time but it was almost unheard of for women to crew, let alone captain, at the extreme end of the sport. In 1989 this all changed when 24-year old Tracy Edwards became the skipper of the first all-women team to compete. Maiden follows their journey, both literally and metaphorically. Using interviews with the crew and archive newsreel, it tells the remarkable tale of a group of women who defied expectations. In an era dogged by institutional sexism, their achievements are all the more impressive; some of the clips demonstrate just how much they were up against before they even got out into the water. It’s an incredible story, going well beyond the often sniffy old-school nature and macho narrative of sailing to focus on the dedication and devotion of these women; their intuition, skills and devotion to their vessel and to each other. (Research Chris Coetsee) Glorious. Don’t miss.